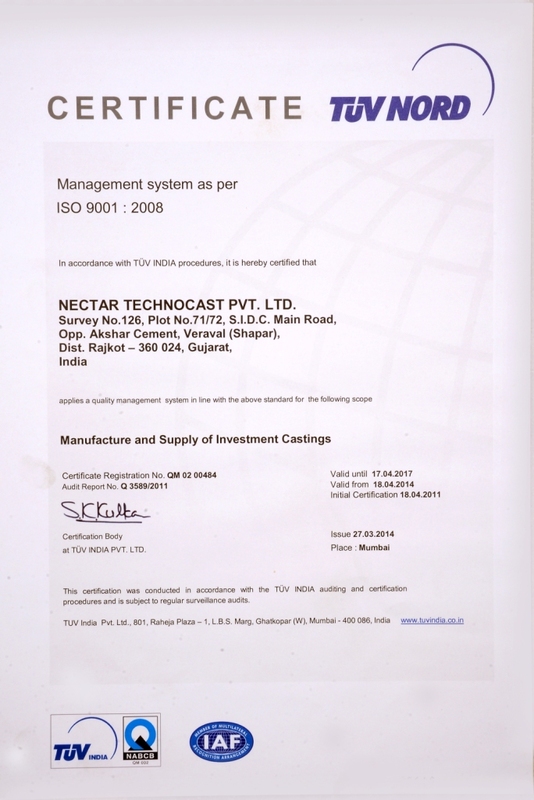 ﻿ Nectar Technocast Pvt. 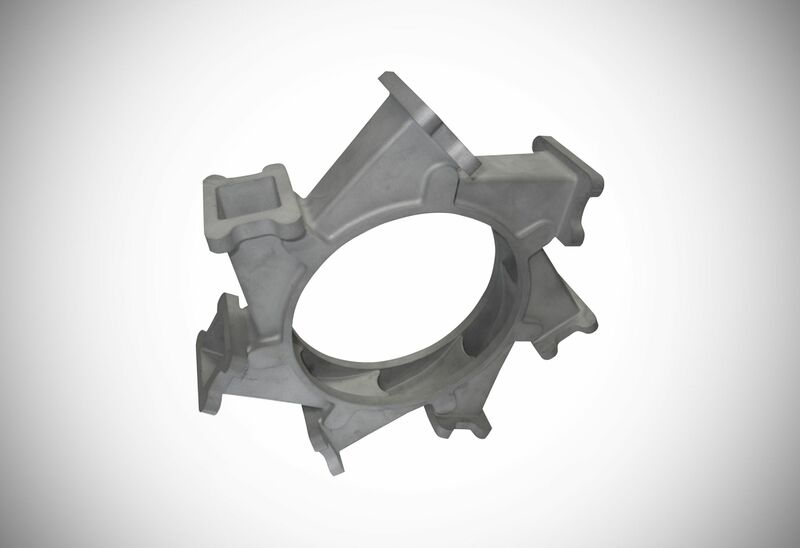 Ltd.
Nectar technocast Is a leading manufacturer of ferrous investment casting by lost wax process, established in 2009. 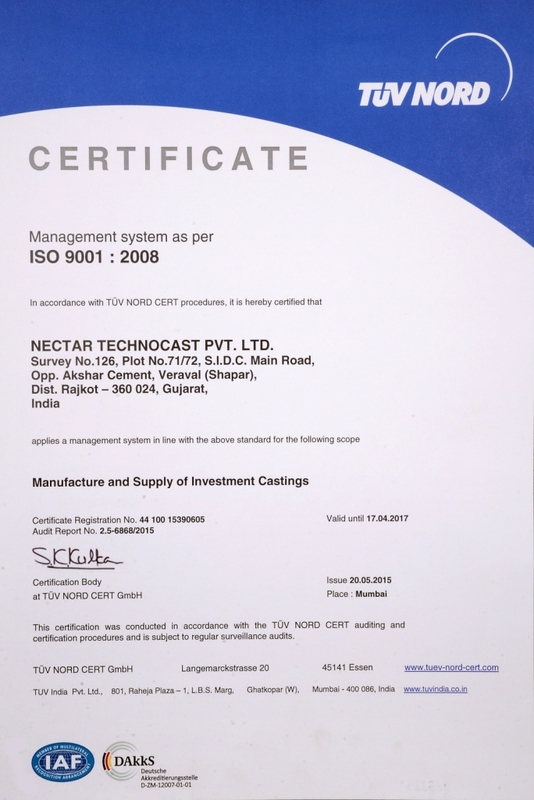 Nectar technocast Is one of the best manufacturing group and pioneering organization having in-house advanced technologies with latest technical know-how to develop and manufacture of various Investment Castings components with highest quality, functionality and cost effectiveness. 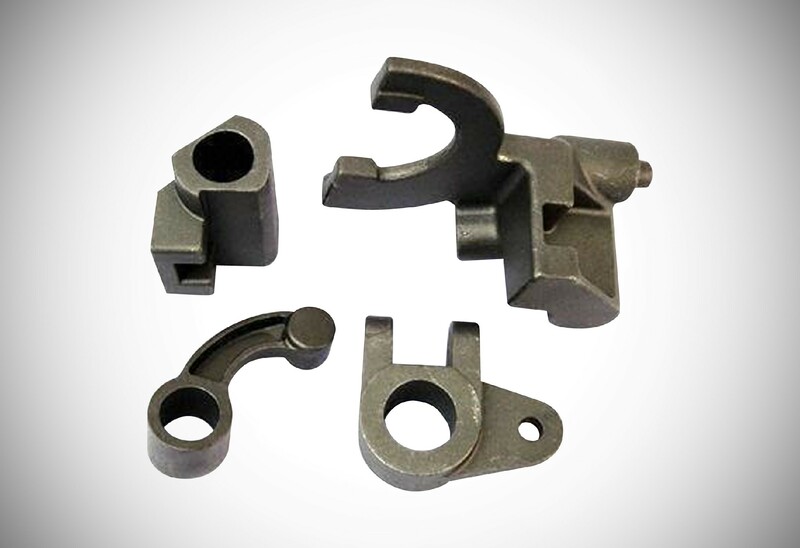 The company is managed by dynamic and highly technically qualified partners and professionals with vast experience in manufacturing of Investment Casting and metallurgical line of business. 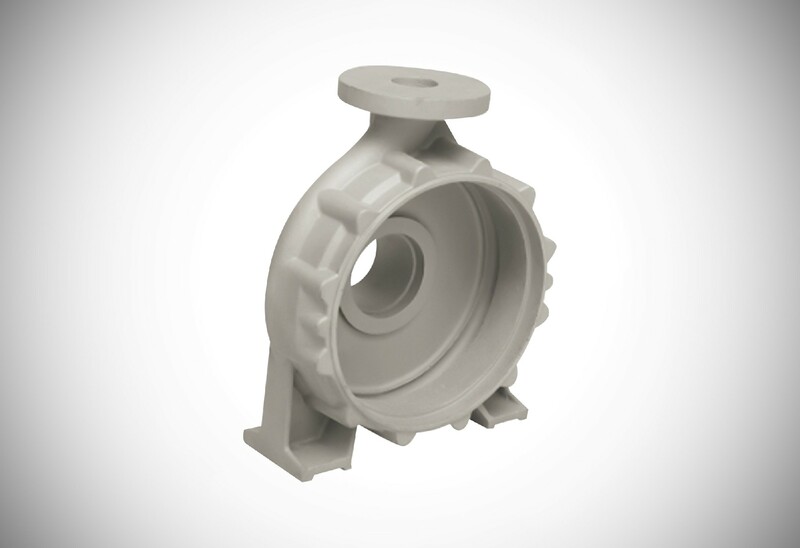 Within the short span of time Nectar has earned good reputation in manufacturing of Investment Casting for casting Tolerances, Surface finish, Chemical & physical properties , Customer Satisfaction , and supply the right part at right time at right cost. 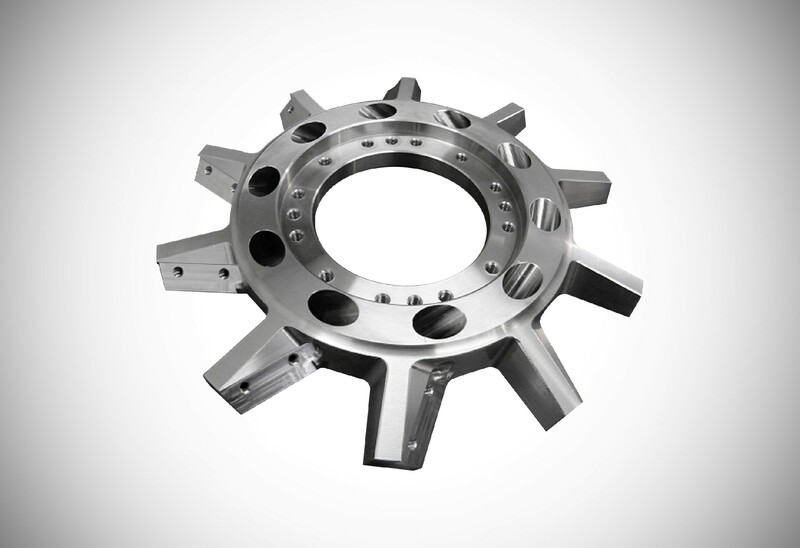 We are doing cast metals as per Customer’s Specification or as per International Standard specifications like IS, ASTM, AISI, SAE, UNI, UNE, AFNOR, EN. 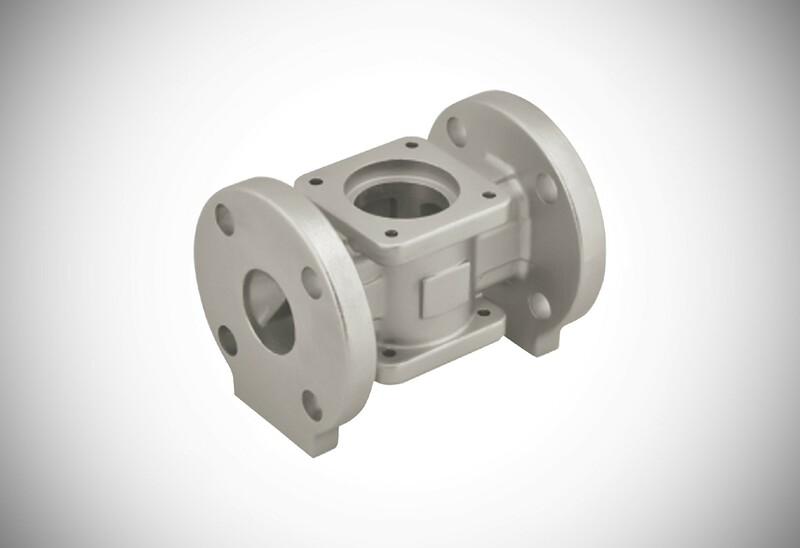 We can furnish the fully machined castings in equipped to assemble stipulationWe can provide Custom designed solutions in partnership with customer development teams with speed and accuracy Supplying over 2500 different, near net shaped parts to almost every conceivable engineering application such as, Automotive, Pump, Valves, Defense, Nuclear Power and General Engineering. 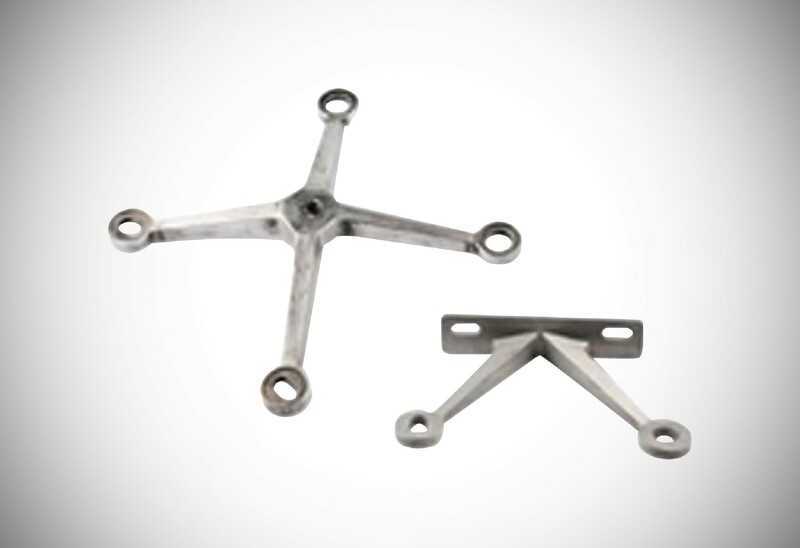 That makes us the one stop solution for all your casting needs. 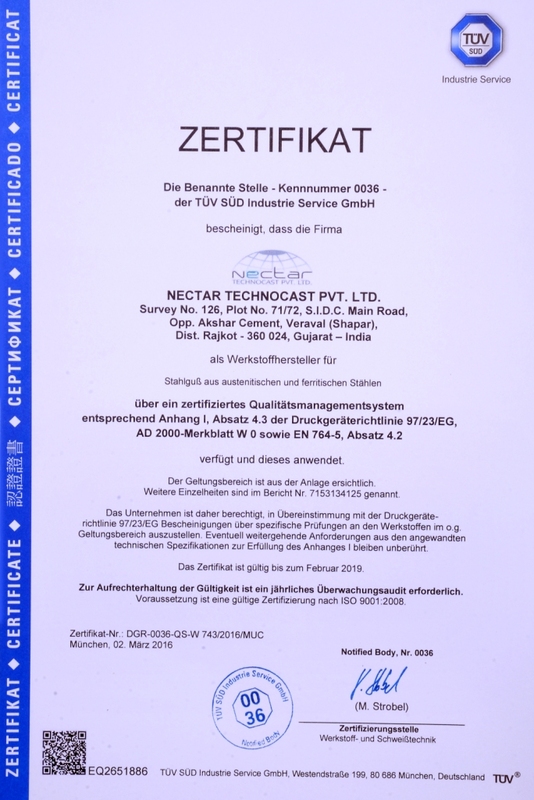 Have a look on the certifications and standards that Nectar Technocast pvt. ltd. has received. We are working on a well defined quality Assurance Plan, each process, each material used and each stage is monitored and checked. 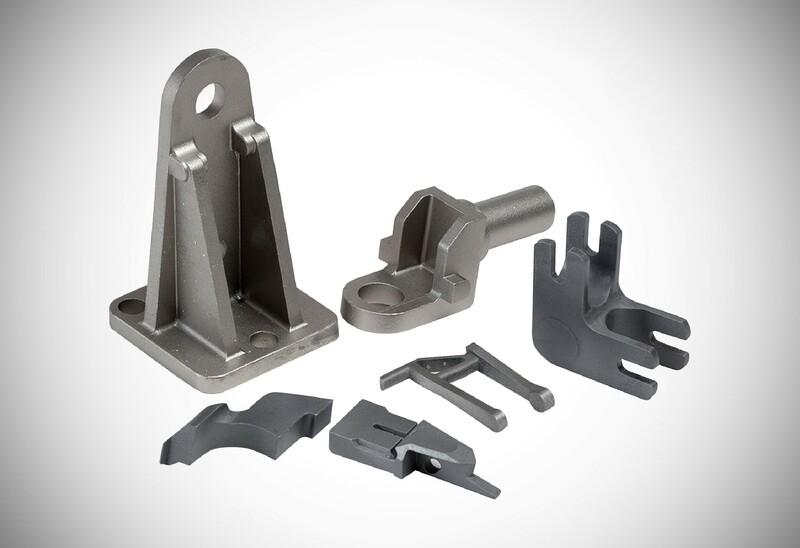 Our manufacturing Castings products will be remain higher strength, greater toughness, closer tolerances and better surface finish, Components with Improved properties and complex configurations are featuring in the newly designed products. 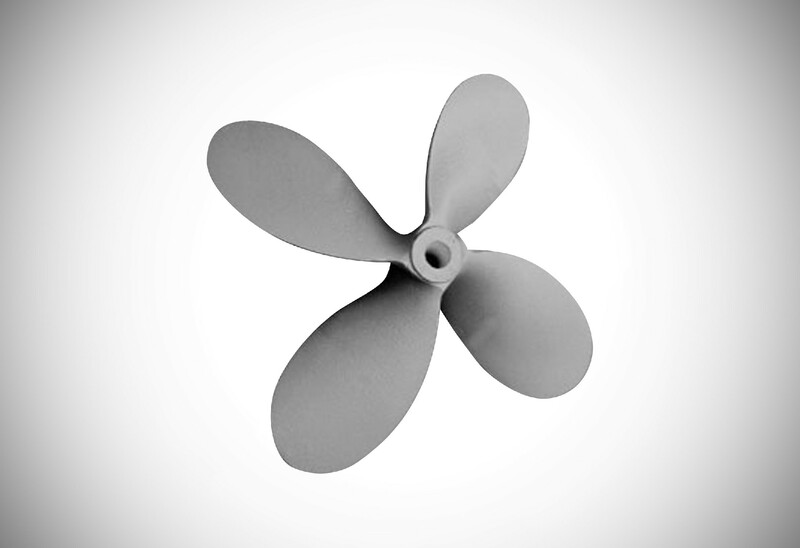 We have vast experience of in design and manufacture of complicated parts. 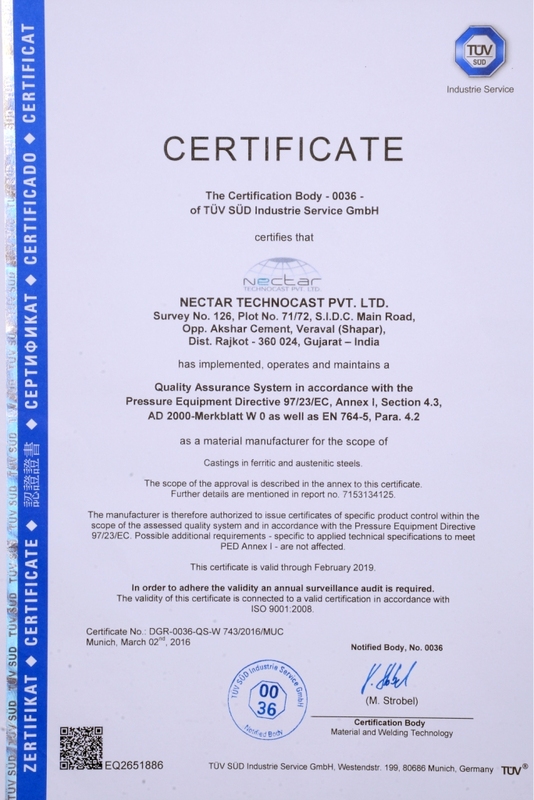 We are committed to comply our quality management system as per ISO: 9001 –2008 standards. We Recieve Your Message. We'll Contact You As Soon As Possible. Thank You. Error Occure While Sending a Mail. Please Try After Some Time.